The scent of osmanthus, a fragrant olive originating from China, is a scent of apricots crushed with jasmine soap in a leather purse. It alternates between fruity and spicy, delicate and opulent. Ormonde Jayne Osmanthus, on the other hand, is sharp and citrusy. 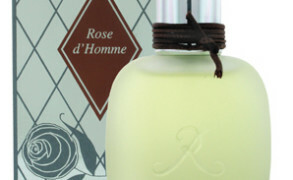 The top notes create a burst of green grapefruit, immediately followed by a floral accord. The progression to the heart and then to the base is without much delay, and I would say that Osmanthus is less complex than other Ormonde Jayne’s fragrances. Citrus notes are wont to disappear rapidly, however in this case, pomello persists even in the drydown, leaving a hint of freshness as it meets the smooth embrace of cedar. The crystalline effect of the top notes is reinforced by the soft muskiness, creating an uncomplicated crisp fruity scent with a slightly woody accord. Notes: Pomello, davana, pimento; osmanthus absolute, water lily and jasmine sambac; cedarwood, labdanum resin, musk and vetiver. Gentiana: I have it now on my right hand’s wrist. Yes, indeed, as you said, very citrusy opening. Quite strong. I had on the left wrist the Tiare (one squirt each, test them in parallel) and didn’t feel anything from Tiare, Osmanthus totally invaded my nose. I had to supplement Tiare with one spray, to be the same potent as Osmanthus. 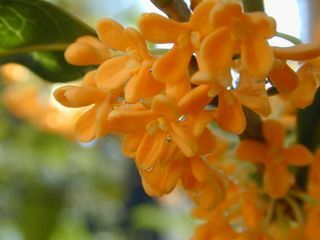 Now, an hour after, Osmanthus is a very faint citrusy-flowery smell, it nearly vanished from my skin. An hour before Osmanthus was totally gone. Strong resionous and woody smell, with some hints of citruses and florals. After more than 3 hours the woody-mossy drydown with more than a hint of tobacco is still noticeable and exudes a very relaxed, casual vibe.